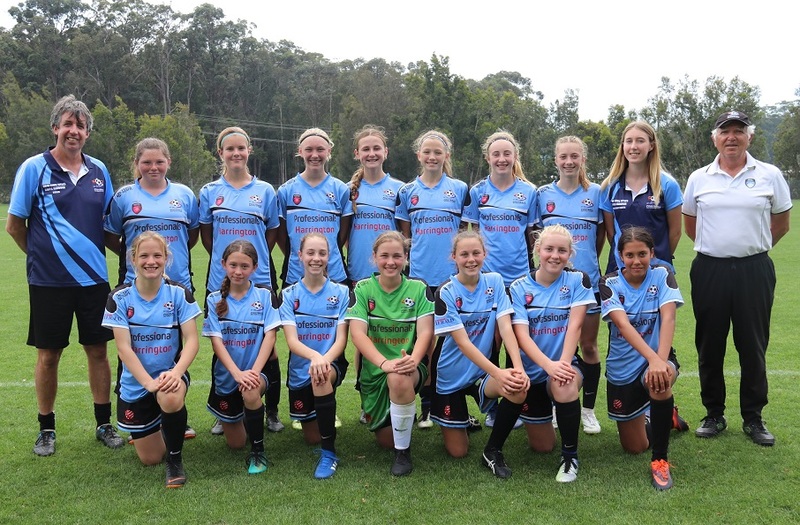 The Football Mid North Coast U14 girls are Champions of the Northern NSW Football State Skill Acquisition Program (SAP) Championship held in Coffs Harbour this week. FMNC were recently crowned Herald Women’s Premier League Premiers having won 20 matches with just the 1 loss during the season (21 Rounds) before 3 wins in the Finals Series (1-0 in the Grand Final) to become WPL Champions. Now they can add State Champions to their resume after 6 wins and 1 draw from their 7 matches in the 3 Day Coffs Harbour tournament. FMNC finished with 19 points, 5 ahead of 2nd placed North Coast Football. A strong defensive display resulted in the girls conceding just the 1 goal all tournament. In attack, FMNC found the back of the net 16 times. Goal scorers: Mia Bales (6), Jessica Watts (6), Lateesha Amato (1), Susie Coster (1), Chelsea Hall (1), Jasmine Trafford (1). 2018 Honours for the U14 FMNC girls: NNSWF State SAP Champions (undefeated), NNSWF Women’s Premier League Premiers and Champions.